It’s set in stone! The powerful voices behind Disney’s popular movie, “Frozen” will be honored with an official Star on the Hollywood Walk of Fame. The Hollywood Chamber of Commerce announced the Hollywood Walk of Fame Class of 2019. 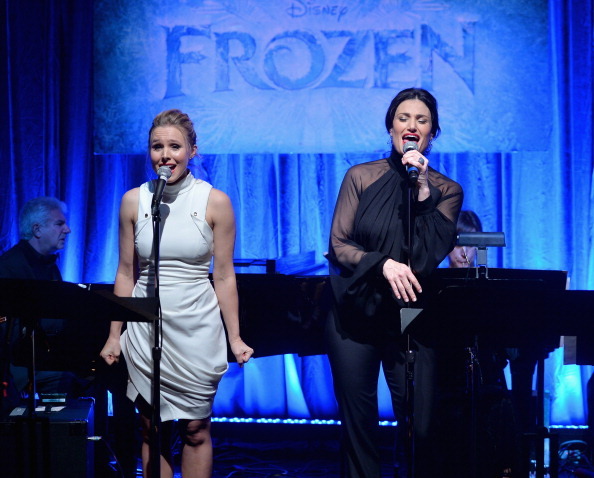 The “Frozen” sisters, Anna & Elsa are both being recognized and honored in two separate categories respectfully. “Anna,” played by Kristen Bell will be honored with an official star in the category of Motion Pictures, as well as: Alan Arkin, Daniel Craig, Robert De Niro, Guillermo Del Toro, Anne Hathaway, Lupita Nyong’o, Tyler Perry and Gena Rowlands. The triumphant voice of “Elsa,” by Idina Menzel will be honored In the category of Live Theatre/Live Performance with an official Star on the Hollywood Walk of Fame. Also, being recognized: Cedric “The Entertainer,” Judith Light and Paul Sorvino. For a full list of the STARS, click here!